Today, I packed a token. It's an MBTA token and has sat -- with a faded and bent orange and silver Post Road Pumpkin Ale bottle cap -- on the edge of our TV for five years. A remembrance of an old life back east. 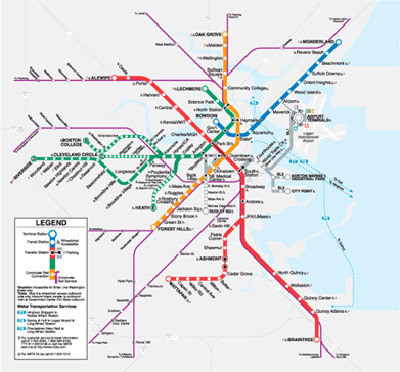 In a few days, it will get me on the T from Logan Airport and take me to my old neighborhood in Cambridge, MA and it will be a bargain! When we found that token shortly after moving to San Francisco, we probably paid $1.00 for it. Now, you'd pay $1.70. Um. Or, actually -- good thing I'm doing a level of research before I get there -- those cute little brass tokens have been discontinued! I was all going to bring my cute little saved token and plunk it in the till and ride the T and then bring another home to replace it, but now I'm just going to have to save it. Put it in the Post Road Hall of "Things I Can't Get Out West." And instead, I'll have to buy something called the Charlie Card. Or, in Bostonian, "The Chah-lie cahd." Oh, Boston. I miss you, even with the repulsively twee name for something that gets me from Southie to Alewife!